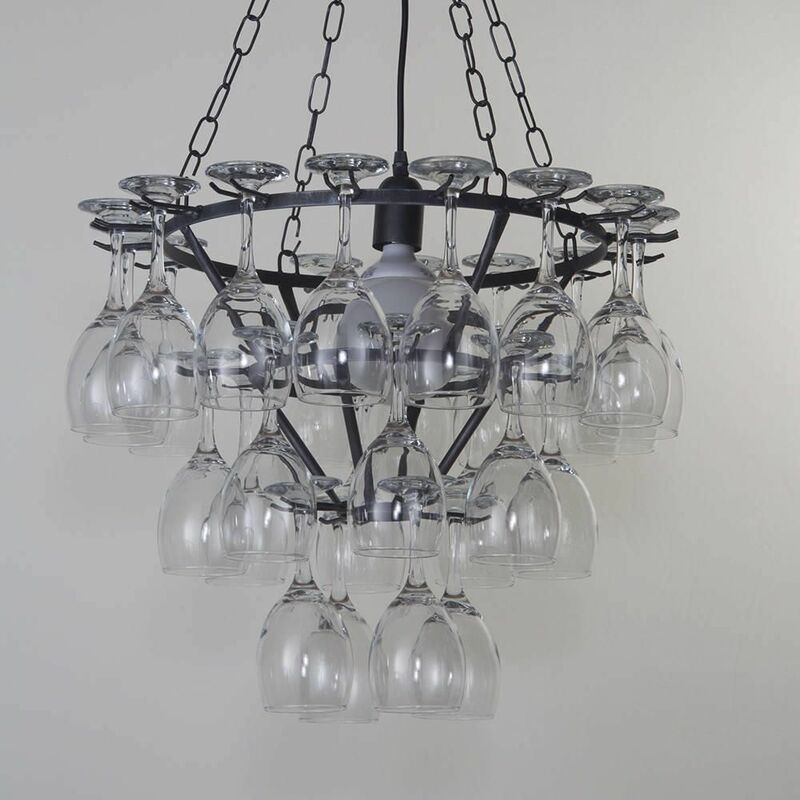 This stunning 3 tier wine glass chandelier from Litecraft is constructed from black metal for a contemporary look. 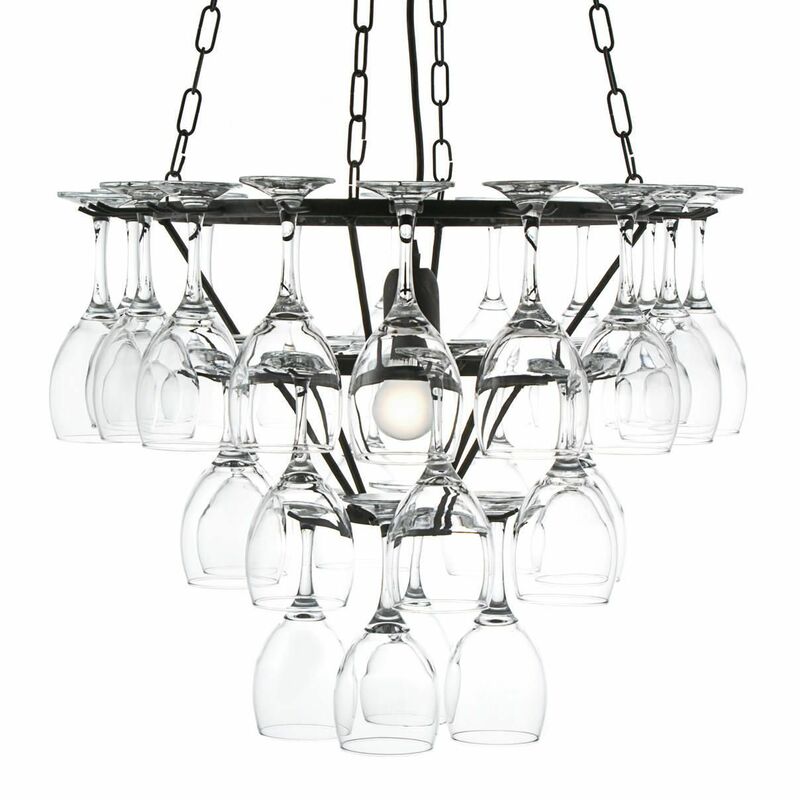 A suspended frame features 28 sparkling 12 oz 36 cl wine glasses that create a wonderful effect when lit. 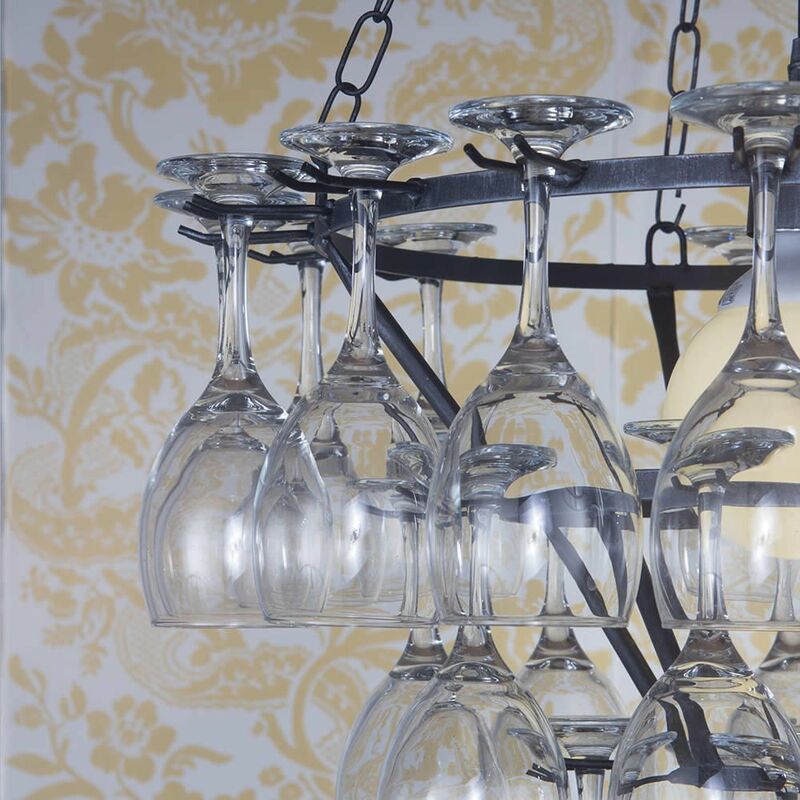 A beautiful addition to any dining room or kitchen. 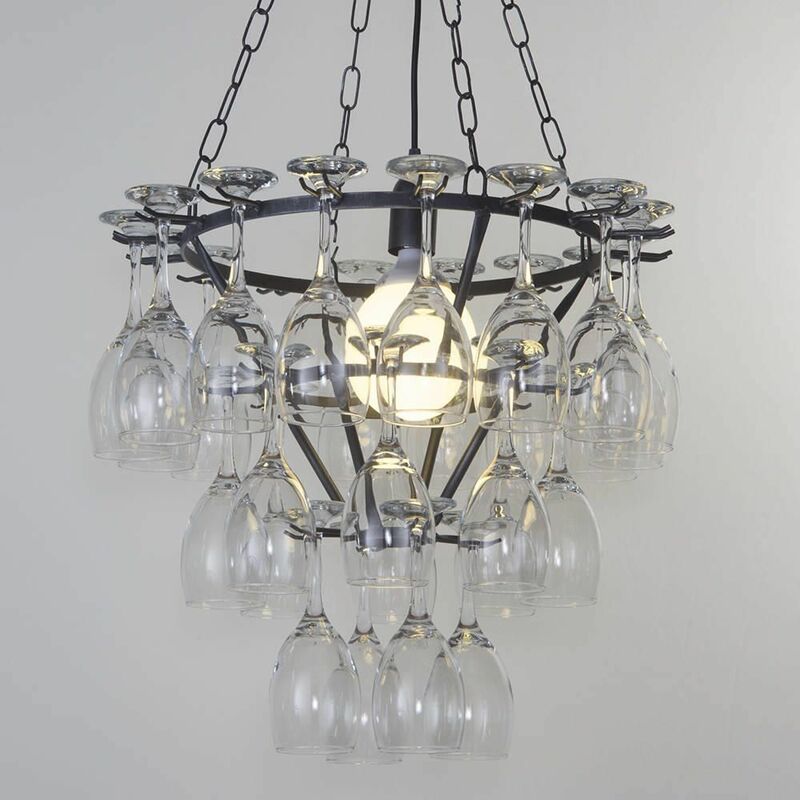 Looking for the perfect chandelier for your home? Our chandelier buying guide is here to help. 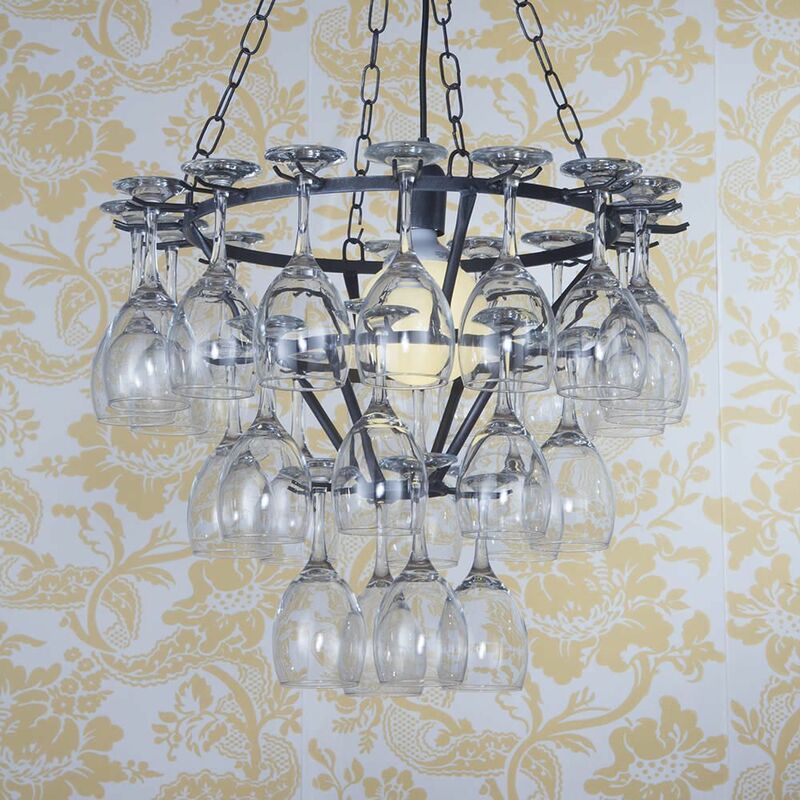 A: We can confirm that the Black Silver 3 Tier Wine Glass Chandelier is suitable for use with a dimmer.